For many healthcare tenants, negotiating a good lease or lease renewal against an experienced agent or landlord can be a challenge. While a doctor focuses on proper patient care, savvy real estate agents and brokers are specialized sales people. Their job is to sell tenants on leasing their location at the highest possible rental rate. As explained in our new book, Negotiating Commercial Leases & Renewals FOR DUMMIES, tenants may go through the leasing process only two or three times in their entire lifetime – yet they have to negotiate against seasoned professionals who negotiate leases every day for a living. Negotiating appropriate leasing terms is vital for a doctor as the amount of rent he pays will directly affect the practice’s financial bottom line. Talk to Other Tenants: Some of the best inside information available is from tenants already leasing in a building. Introduce yourself as a prospective tenant and ask for an honest opinion of the landlord. Inquire about the level of property management, their thoughts and feelings about the rental rate they’re paying, their intentions to stay on another term, and so on. The Lease Coach frequently asks pointed questions like these for our tenant clients and what we learn may surprise you! We can use this information wisely in our own negotiations. Brokers … Friend or Foe? It is not uncommon for a healthcare tenant to believe that the real estate agent or broker is working for them. However, it should be noted that the listing agent’s commission is being paid by the landlord and even an outside agent may be sharing in that commission. Remember, the higher the rent that you agree to pay (or the more square footage you lease or the longer lease term you sign for), often the higher the agent’s commission. Whether a landlord-paid agent can serve two masters you will have to decide for yourself. Brokers and agents do a great job but who they doing that job for and who is paying them to do it? Even the most altruistic agent can’t serve two masters equally. For a copy of our free CD, Leasing Do’s & Don’ts for Commercial Tenants, please e-mail request to JeffGrandfield@TheLeaseCoach.com. 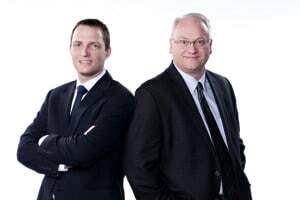 Jeff Grandfield and Dale Willerton – The Lease Coach are Commercial Lease Consultants who work exclusively for tenants. Jeff and Dale are professional speakers and co-authors of Negotiating Commercial Leases & Renewals FOR DUMMIES (Wiley, 2013). Got a leasing question? Need help with your new lease or renewal? Call 1-800-738-9202, e-mail DaleWillerton@TheLeaseCoach.com or JeffGrandfield@TheLeaseCoach.com or visit www.TheLeaseCoach.com.